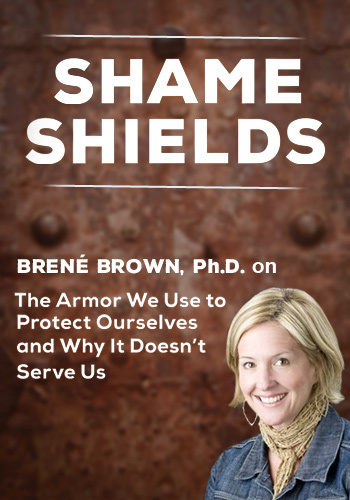 SHAME SHIELDS: Free CE Seminar with Brené Brown, Ph.D. This is the voice of shame, the universal emotion we're all afraid to talk about. The less we talk about it, the more we have it...and the more likely we are to struggle with addiction, trauma, aggression, depression, eating disorders, bullying, and more. This one-hour free CE course will help you understand shame, the three common “shame shields” we use to protect ourselves, and how we can develop shame resilience skills by identifying shame triggers, developing critical awareness, reaching out, and speaking shame. Together, we'll walk through exercises that teach us to recognize the patterned ways of managing shame, giving our clients and ourselves the gift of language and awareness to talk about shame and lead more connected, courageous lives. Watch today to earn 1 Free CE Hour!